This project explores listening as a strategy of inquiry in the scientific field-site. 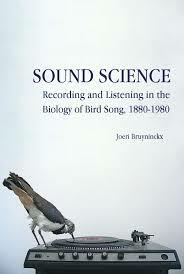 Since the late nineteenth century, ornithologists have attempted to make and use sound recordings to study birds’ singing behavior scientifically in the field. Tracing the material practices of scientific recording across locales such as the Cornell Laboratory of Ornithology, the British Broadcasting Corporation and the Cambridge department of Zoology, this project examines how they were crafted into a legitimate scientific technique. Yet the field-site was never exclusively scientific domain, nor was sound recording ever an exclusively scientific practice. 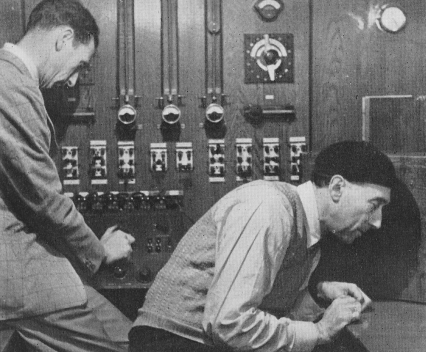 Birds were being recorded and studied in musical notations, on gramophones, magnetic tape or spectrograms, by amateur birdwatchers, hobbyist sound hunters, recording engineers from public broadcasters (such as the BBC) or publishing companies, and even musicians, and biologists sought their collaboration and expertise when recording in the field. At the same time, this required the production, use and form of recordings, as well as the reliability of listening reports to be negotiated. Methodologically, this project focuses on the US, UK and Germany between 1880 and 1980. It draws upon archival sources, such as correspondence, diaries, manuscripts, field- and laboratory notes or editing forms, as well as recordings, published literature and oral history interviews. These were collected at the British Library, the Tierstimmenarchiv at the Berlin Humboldt Universität, Cambridge University, the BBC and Cornell University.